Destiny Praise affectionately known as DP is a group of true worshippers cloaked in genres ranging from jazzy soul and R&B to praise & worship with a dash of pop. Possessing the artistic range to tackle such genres is a feat in itself, but their seamless transition is God's handiwork alone. Together since 2001, this Atlanta based group of 9 has the God-adoring lyrical composition and infectious rhythm that permeates throughout all types of audiences, young and old alike. These energetic and gifted conveyers of God's word in song were selected from the praise team ministry of Atlanta's Destiny Metropolitan Worship Church (DMWC), by co-founders, Dr. Bryan E. and Lanette Crute. DP has gained popularity as well as musical and spiritual growth. They have recently been featured on Fox 5's Good Day Atlanta, and are also featured monthly on 107.9FM The Spirit of Hip Hop with CoCo Brotha. They have performed at the 2006 Mega Fest, and "85 South" video talk show which is hosted by Deitrick and Damita Haddon, which will be aired in the fall of 2006. They performed at the 2005 Trumpet Awards, were featured on the debut album of Integrity Gospel Recording Artist "Charles & Taylor," opened for greats such as: Kirk Franklin, Yolanda Adams, Kim Burrell, Donnie McClurkin, and John P. Kee to name a few. They also participated in the Purpose Driven Worship Conference concert at Saddleback Church, where the pastor is Rick Warren. DP also was awarded for the best duo/group at the 12th annual 2006 Atlanta Gospel Choice Awards. 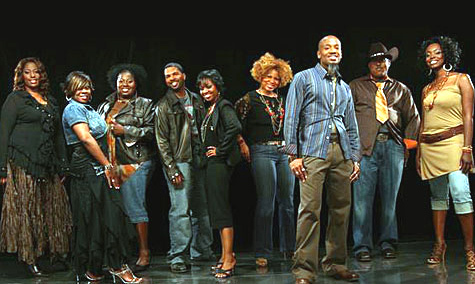 The group released With A Passion in 2003, followed up by Driven in 2008. 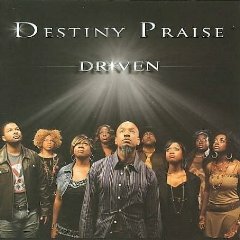 A worship experience with a God-inspired focus, Destiny Praise displays a non-wavering commitment that pours through their current CD Driven. In the midst of the excitement of their new release, "DP's message is real and relevant because it speaks to the process of being broken and letting God rearrange you for His glory." (Amanda Braithwaite, a Destiny Praise vocalist). DP is transforming gospel into a universal groove that will have an end result of changed lives for the advancement of the Kingdom of God.